Are you in a Book Club? Do you enjoy reading? A Book Club isn’t a Book club in my book without champagne!! (Was just testing to see how many times I could put book into a short sentence!!).. It’s been another long while since I’ve written a blog post and even longer between Book Club posts but I really enjoy writing them and I think (?) you enjoy reading them, so I’m back! Our host for our most recent book club, the lovely Mel, put on quite a show for us. I was very touched that it was in my birthday honour too. We were given the option of reading Zadie Smith’s “Swing Time”, watching the TV series China Girl or listening to the Podcast “Chat10 Looks3”. I have to admit to reading / watching / listening to none of them but have signed up to the postcast and have joined their FB group and have China Girl lined up to watch soon. I will get around to reading Swing Time in the Christmas holidays. Have you read it? Have you watched / listened to the others? Thoughts? Every host does something different when it’s their turn, we’ve had boho themes, at restaurants, with a guest speaking author, dinner party style, just desserts style & everything in between. More than anything it’s an excuse for a mid week night out and lots of laughs with lovely ladies. Because this book club was on the eve of my birthday it was birthday themed – for me (which was a bit embarrassing but very appreciated)! Have you read it? I highly recommend it. Tracey writes like you would expect her to speak in everyday conversation. I did have the pleasure of listening to her speak at an event not that long ago and she came across exactly how she does in the book, smart, down to earth, thoughtful, fierce, kind, compassionate, strong, well read, well travelled, worldly wise, intelligent, trail blazing, feminist, hilarious and great fun. Her autobiography is no holds barred into the triumphs and heartaches in her life. It’s eye opening for those of us who only seen the faces on theTV and not what goes on behind the scenes. It tells of what she thought she had to endure and what she did endure while trying to get a break in her career and climbing the media ladder. She is a shining light for women, she is courageous and inspiring. This is a must read in my opinion. I’ve been a fan of Maggie Alderson for years, I really enjoyed her columns but hadn’t read any of her books before. This one is engaging, full of charming characters, especially Polly the perfume blogger / yoga teacher. It has enough depth & intrigue not be “fluff’ (for me anyway), has the added element of perfume to take it beyond the normal “chick lit” although is still is that genre. This is the perfect holiday or rainy weekend read. I’m not giving any more away but you can read a review here if you’d like to. I’d add it to your list too. Are you a book lover, in a book club? Read any books lately? I love the birthday cakes – because you know a book club without a birthday cake is just a meeting, right?! 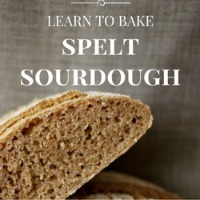 I loved Tracy’s book – it was a ripper of a bread. I’ve read two really great but really different books this month. Everything That Remains which is a memoir by The Minimalists and My Not So Perfect Life, a lovely rom com by Sophie Kinsella. The only thing about reading a really good book is the bereft feeling you get at the end when it’s finished! Reading is a delight and is always appreciated by me and my peers. Please let us know how can we four be the part of the book club in this summer.